Alex has scleroderma. 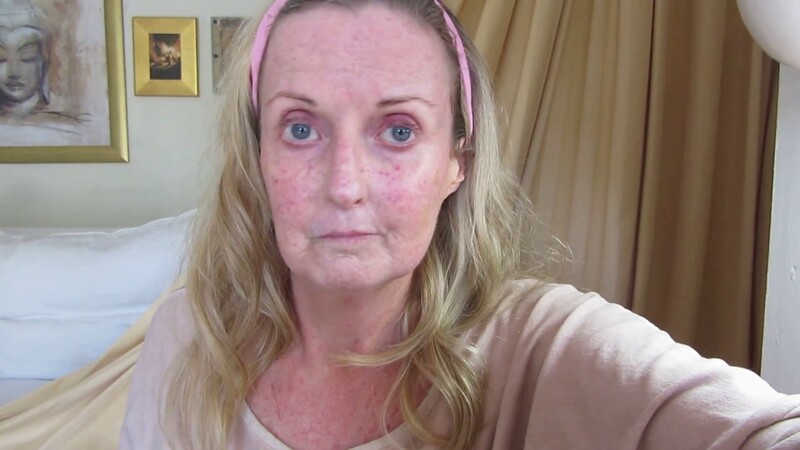 She talks about how it has impacted her life below, and in these tutorials how to cleanse and tone the skin for scleroderma. I was originally diagnosed in 1989 with Dermatomyositis and polymyositis, which then eventually became a diagnosis of Scleroderma in about 2005. Raynaud's has been present throughout. I've had extensive surgery on wrists, hands, neck and shoulders with a lot of metal fusions to ease pain and deterioration. The scleroderma has affected my lungs quite severely. Though I have some serious issues it can be the Raynaud's disease that often impacts life the most. Even the temperature change of getting out of bed can start an attack, going to the fridge to get food or milk, and of course going outside when it's even mildly cool. The summer is actually just as bad as shops have the air conditioning on which cause so much pain and a guaranteed Raynaud's attack, even with gloves and hand warmers. During a Raynaud's attack my fingers go a very dark blue colour and it's painful especially when circulation starts to return. It causes ulcers on the finger tips and pitting ,which then require a lot of care and attention. It can definitely affect my choices, as not all friends houses or coffee shops have heating on, and financially I really struggle to cope with my heating bills. How has the condition affected you and your relationship/ family life? It has had a huge impact on my relationships, many friends haven't managed to maintain an open and supportive relationship with me, and sometimes family members find it hard to cope. Do you have a job? If yes, what do you do and have work accommodated you? I haven't worked for many many years, but continue my art and creativity projects at home. What is your attitude towards your diagnosis? It ranges from accepting and peaceful to very sad and sometimes angry. How best do you manage your own condition? I have help at home, regular massage,create a peaceful environment, warm and cosy. I try and make sure that my stress is minimal. If you could share one hint or tip on keeping well/coping what would it be? Being truthful is best. Not agreeing to plans but instead saying I am interested but will see nearer the time if I feel well enough. Can you tell us any anecdotes related to your condition? Someone thought once that I had been painting something in a dark blue colour, but it was just my Raynaud's. Please give us a short 'quote' about what you wish for in the future. A cure would be the dream but in the meantime some more education for the medical community. Please tell us what keeps you positive. In these tutorials Alex talks about cleansing and toning the skin for scleroderma, and how to massage the face.